It may be the most wonderful time of the year, but the holiday season also happens to be one of the more difficult times to stay on track with your fitness routine. Between fitting in social engagements, family obligations, shopping and endless holiday treats, many of us often dread what feels like an inevitably unhealthy, inactive season. 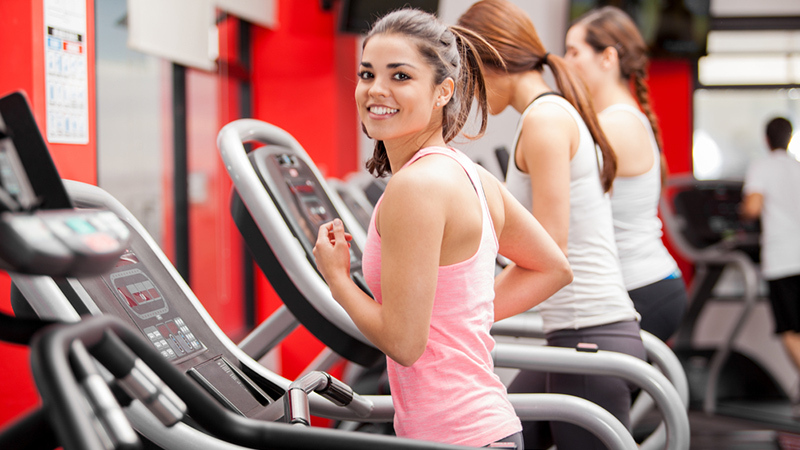 Just because you’re feeling pressed for time, doesn’t mean fitness has to fall out the window. With enough preparation and a healthy dose of realism, the holidays don’t have to be an all-out health-and-fitness failure. Read on for some tips and tricks when it comes to staying on track this season. Take advantage of the time you are able to spend with any younger family members. 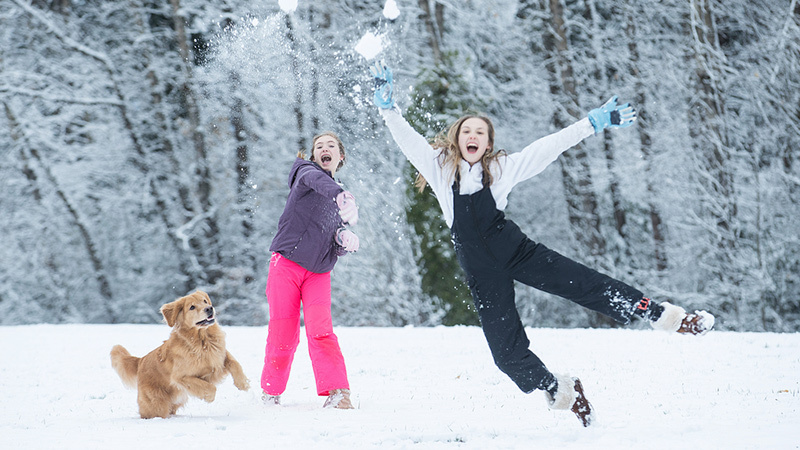 Instead of gathering around the TV with your nieces and nephews at a family party, bundle up and head outside! Run around in the snow and enjoy an old-fashioned snowball fight, or pull out a toboggan and hit the hills. Climbing up snowy hills is sure to raise your heart rate and tone up those leg muscles. Even if you don’t have any younger family members, everyone enjoys spending some time with their inner child. If all else fails, help your relatives shovel out their driveway for a killer arm workout (and for a good deed well done). Lace up your old skates and head out to the local public rink (bonus, this makes an adorable date night). If you are lucky to enjoy some time away from work this holiday season, carve in some time with friends to hit the slopes with your skis or board. Or, if you’re looking to change it up, try a new winter sport. 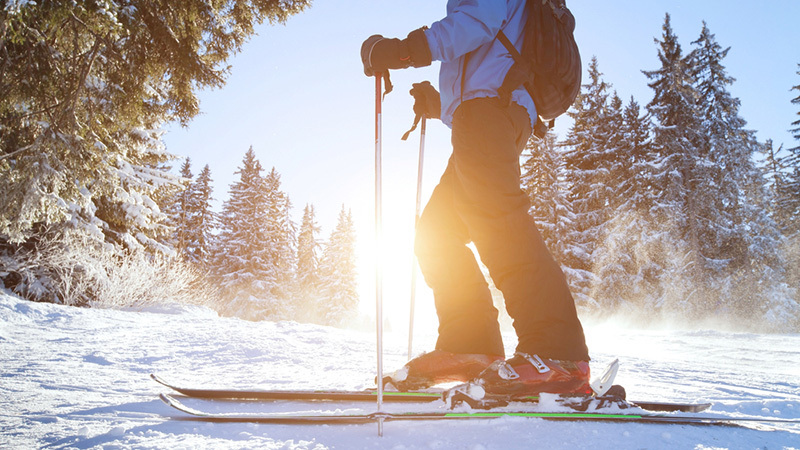 Activities like cross-country skiing and snow shoeing can be mega calorie burners and are also an amazing way to get outside and enjoy the beautiful winter scenes of the season. 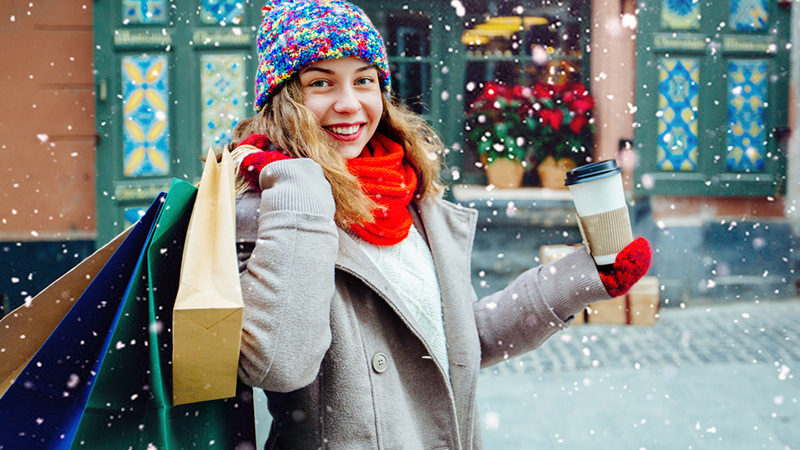 If you’re heading out to get some shopping done, try and see if you can carry all of your purchases yourself instead of grabbing a cart or asking your significant other for help. Of course, once your load gets too heavy you can (and should) grab a cart, but challenge yourself to make the most out of an opportunity to fit in a little extra weight training. Can you get all those bags up to your apartment in one go? Treat yourself to some great new workout gear when everything goes on sale pre and post-Christmas. Buying that gear you’ve had your eye on putting it on can do wonders for your confidence and make you feel great. Inspiration comes in many forms and sometimes feeling great is all the motivation you need to get out there and help you stay active. No goal is too small as long as it’s going to encourage you to stay active. Setting a goal and working towards it is a foolproof way to help you stay on track over the holidays. Whether you want to finally run that half-marathon you’ve been talking about, workout six days a week or complete a new fitness challenge every week or month, now is the time of year to reflect about what you want to accomplish with your fitness in the coming months. Make a commitment to yourself, hold on to it and put it into action before the New Year even begins. If you have an abundance of parties to attend, make the most of them and hit the dance floor. Dancing is a great way to get your heart rate going and burn off those calories from any cocktails you consumed. Don’t be afraid to look silly, enjoy the moment and appreciate the extra opportunity to sweat. While many runners start gearing up for the spring race season a few months into the New Year, pick an earlier race as a goal race, pay the entry fee and start training now. 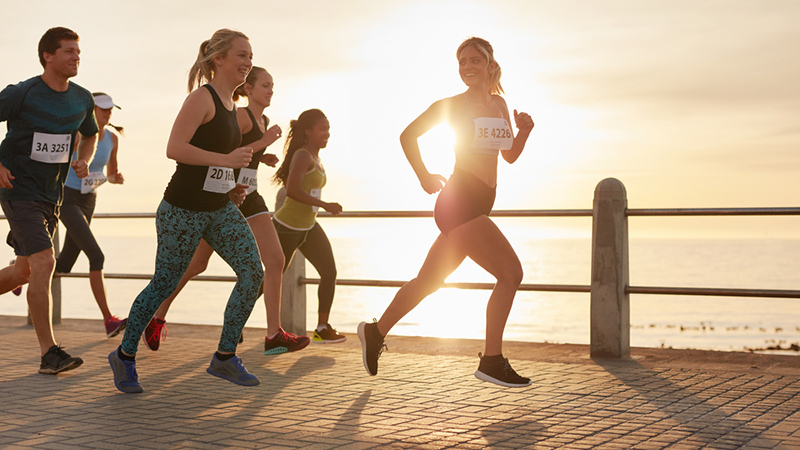 Knowing that the early spring races are approaching sooner rather than latter can help you lace up your shoes and hit the pavement when you’d rather be sitting inside, especially when you’ve already paid the entry fee. Find a workout buddy you can count on and schedule active dates. You’ll be less likely to bail over this busy season when you know you are meeting someone. 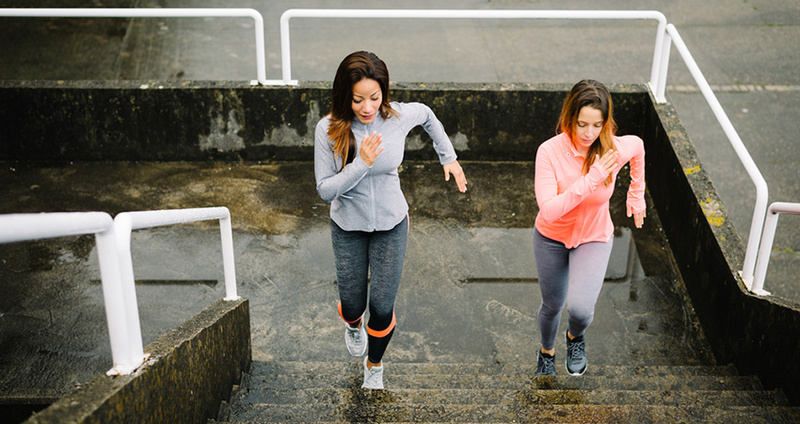 Working out with a friend can help you work harder, work out more regularly and most importantly, can help you remain accountable to your fitness goals. 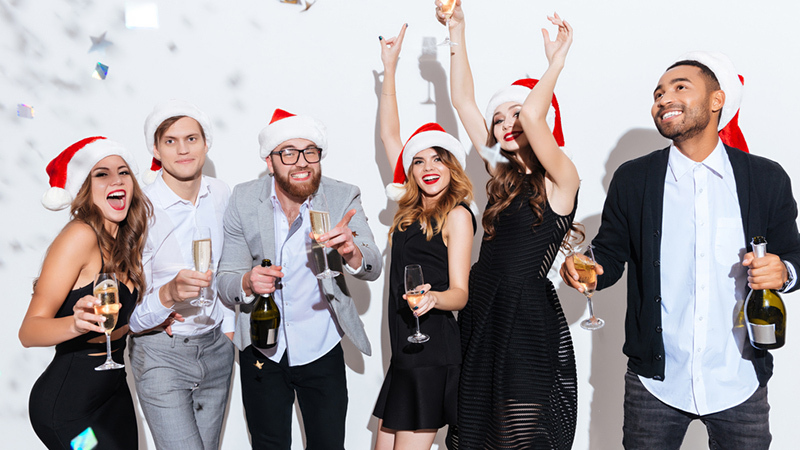 If the office holiday party happens to coincide with your regularly scheduled Wednesday night Pilates class, or if some last minute shopping gets in the way of your Saturday long run, that doesn’t mean the whole day has to go to waste. Instead of doing nothing at all, notice any window of opportunity for movement and take advantage of it. 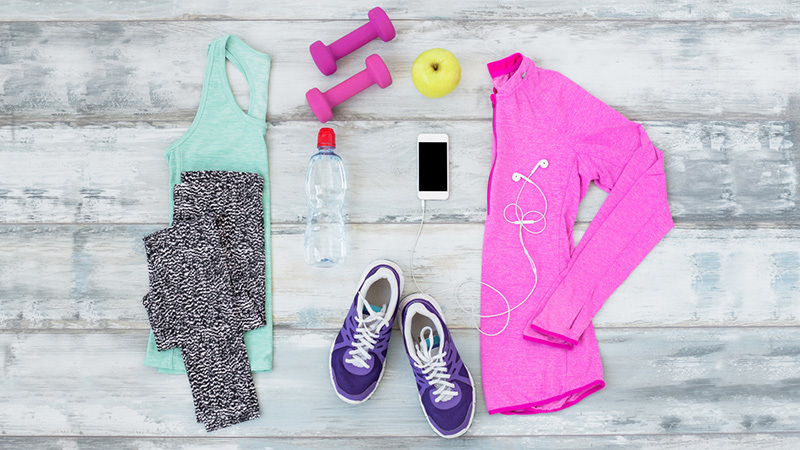 Use some of your lunch hour to take a jaunt around the block, do a 10-minute workout, or throw on your run gear and get in a short and fast 4 km run instead of the 1-km you had planned. Even if the only activity you can fit in is doing a few sets of squats and push-ups while you wait for your cookies to bake, something is always better than nothing. By remaining as active as you can, even in short bursts, you won’t feel like you are totally falling off the work-out wagon and your body won’t have as hard of time getting back into it after the season. Here are just a few indoor HIIT workout ideas to get you through winter (some of which are only five minutes long!). For many of us, winter means little exposure to sunlight. 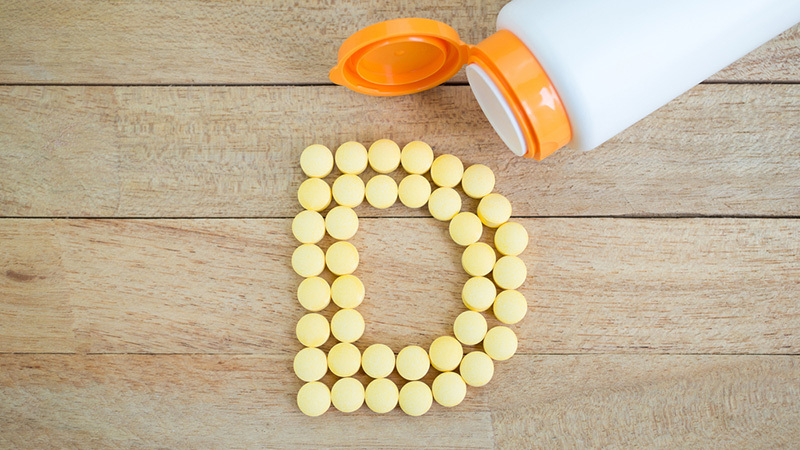 Supplement with some Vitamin D to help counteract the negative effects of a lack of sunshine: low energy, disrupted sleep, and the winter blues. A mood boost can help give you that extra push to get to the gym during the busy holiday season. Look at your schedule well ahead of time, not just a day or two, and make note of your busiest days that may get in the way of your healthy routine. 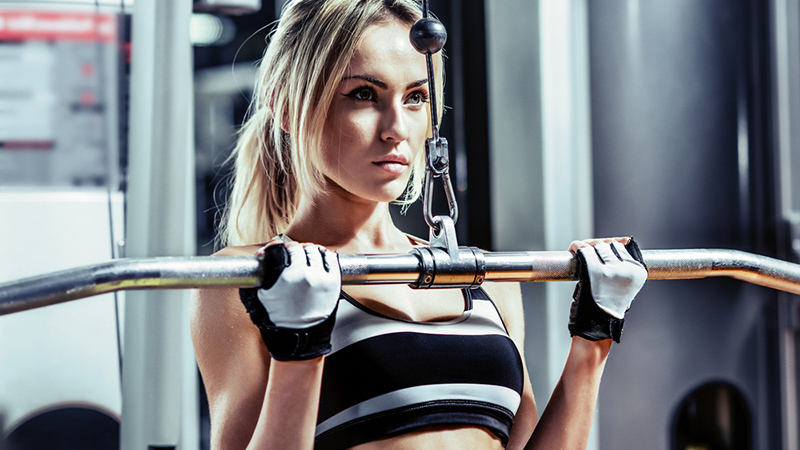 If you notice a day where you can’t get in a workout, see if there is another day or time where you can fit in a double workout, or schedule an early-morning gym session that you may not have done otherwise. 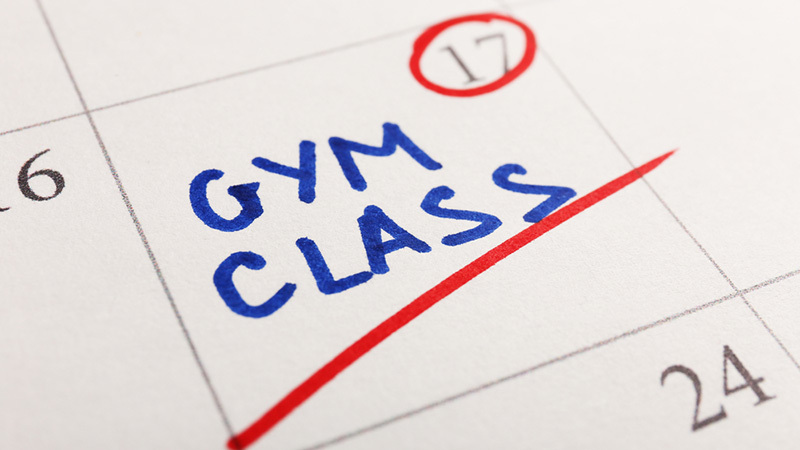 If making it to the gym or cooking a healthy mean is important to you, then schedule it in and stick to it. This may mean waking up an hour earlier or saying no to last-minute plans. Ultimately, only you can identify what is most important to you and why. Make your gym time or healthy meal prep a priority in the same way you would make an important meeting with your boss. Put yourself and your health first. Your body will thank you for it in the New Year.